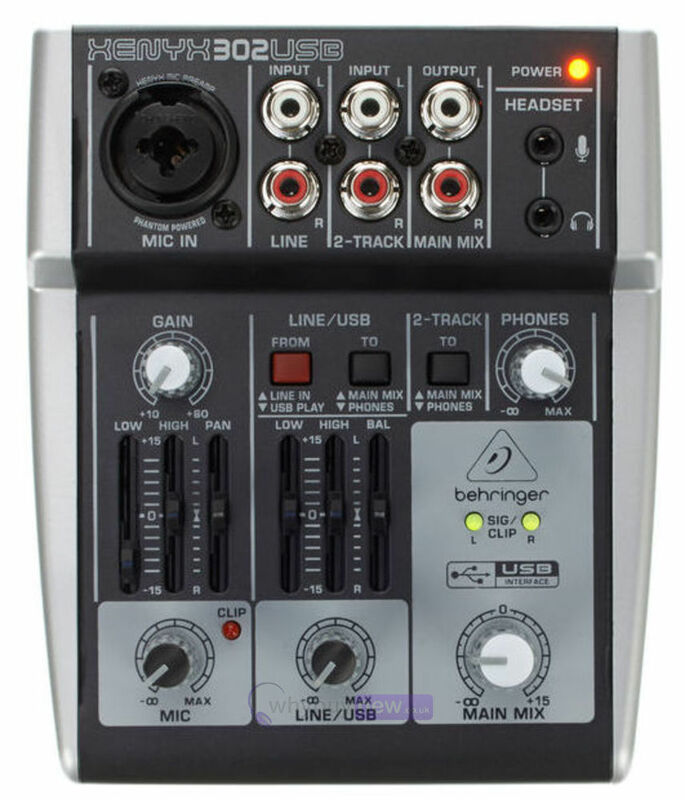 The Behringer Xenyx 302 USB is an ultra-compact portable 5-input analogue mixer with a XENYX mic preamp and USB/audio interface. 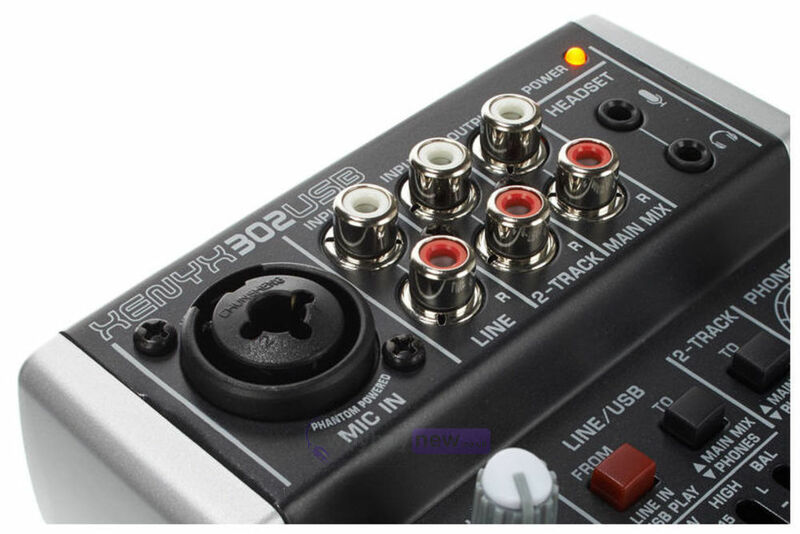 The Xenyx 302 USB's built-in audio interface allows you to connect the mixer to your PC or Mac computer via a single USB cable, and can be powered via your USB port. 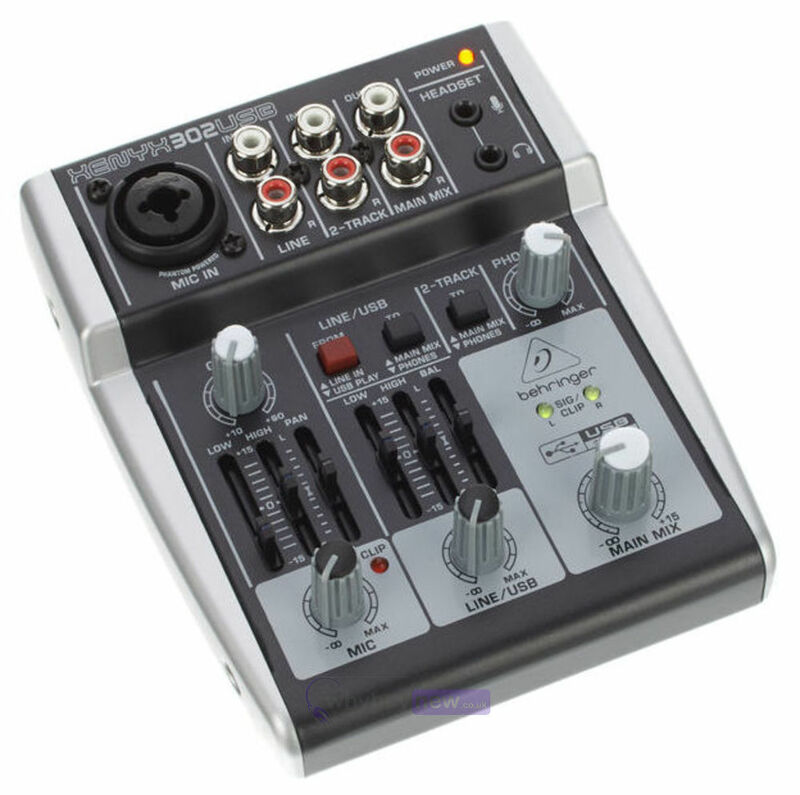 The XENYX 302 USB is ideally suited for a small home studio or the on-the-go recording enthusiast. 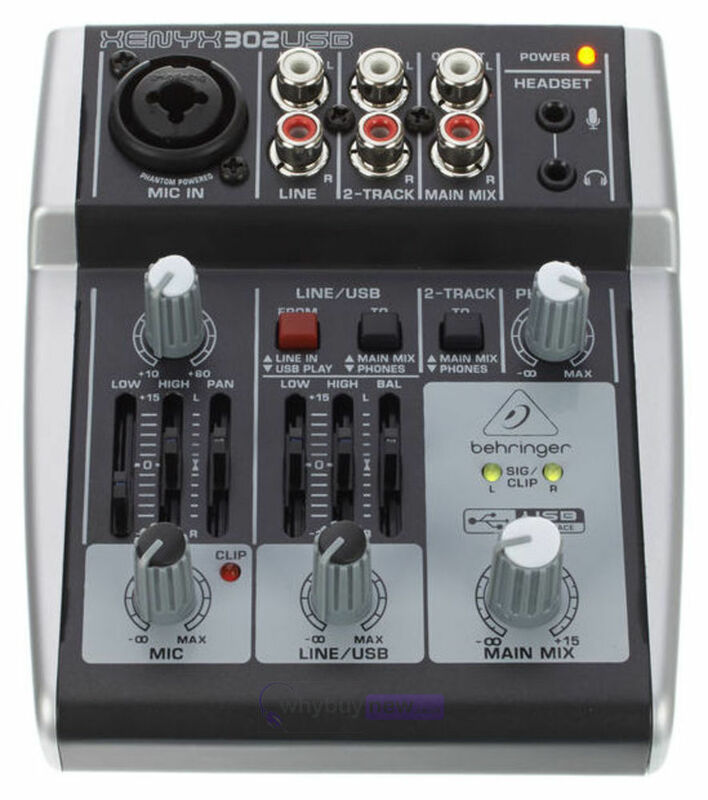 At approximately 4" long and 5" wide (117 x 135 mm), the XENYX 302 USB features one of Behringer's state-of-the-art, phantom powered XENYX Mic Preamps, an XLR & ¼ " combination input and a stereo USB/Line channel - plus a dedicated 2-Track input. 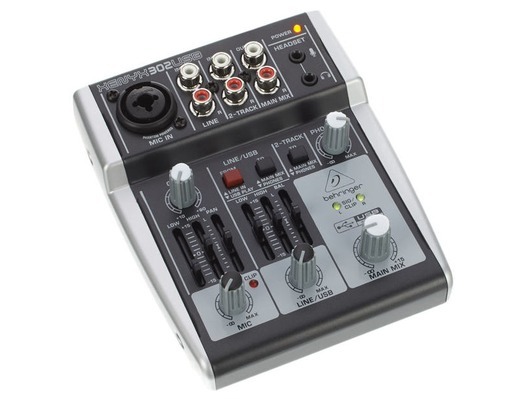 And since the XENYX 302 USB can be powered directly via your laptop's USB socket, it's the perfect portable mixer for podcasting and impromptu recording! 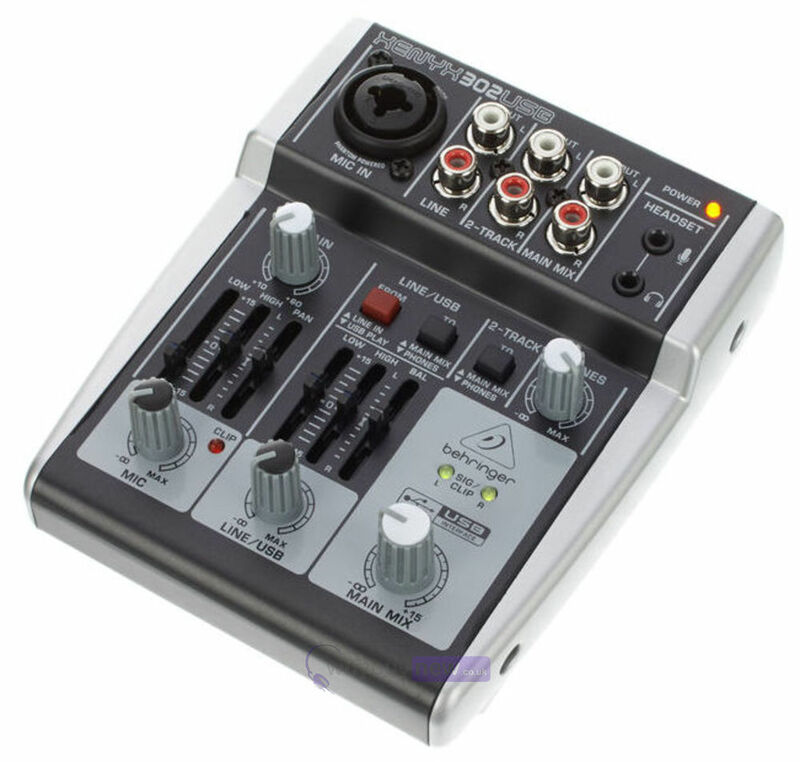 As a bonus, the ultra-compact 302 USB comes with all the recording and editing software needed to turn your computer system into a complete, high-performance home or portable recording studio. 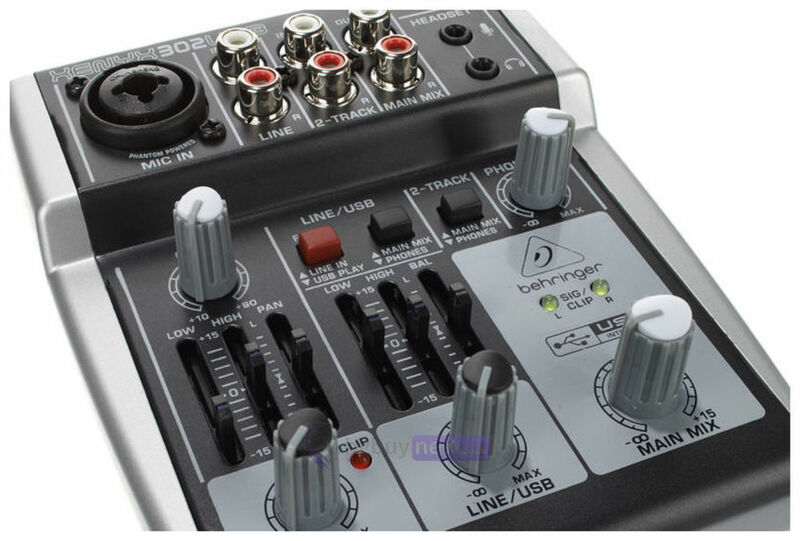 Here we have the Behringer Xenyx 302 USB in brand new condition and in B-Stock. The B-Stock versions would have been on display at a training evening or trade exhibition only and will come boxed 'as new' with all accessories and a 1-year warranty.